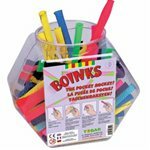 BOINKS!™: The original pocket rocket. When compressed into your anxiously awaiting hand and then released, Boinks!™ will put a smile on your face and a laugh in your voice. Made of durable plastic, safe and enjoyable for children age 5 to 105. Instructional and practice book for third grade students. Instructional and practice book for fourth grade students. Instructions and techniques for the person teaching the cursive program. 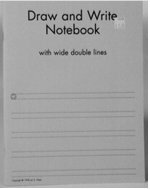 Contains double lines, 1/2 inch for practice. A crayon only workbook for children at the Pre-K level. FINALLY, A GRIP WITH ALL THE .WRITE. FEATURES Developed and tested by a pediatric occupational therapist specializing in handwriting. Finger guards and special angles place and .HOLD. the hand in a mature tripod grasp. This series was developed and tested by an occupational therapist. Many OT strategies have been incorporated into this fun and successful handwriting program. The series is well illustrated and clearly defines steps that lead to good penmanship. This pencil holder has indentations for two fingers and a thumb. Assists with correct finger placement. Models and directions for wood shape letters, slate board directions for numbers and letter, printing practice. This guide follows a developmental sequence that makes it easy for teachers to decide what activities to use and when to introduce new activities. Instructions and techniques for the person teaching the printing program. RediSpace. 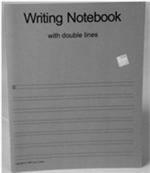 Transitional Notebook Paper is the logical transition between primary dotted-lined paper and wide-ruled notebook paper. It is truly a developmental transition, which facilitates correct spacing between letters and words. Use this tool for letter practice, erasing, and drying. Three types of kinesethic input for each letter. This pencil grip is for children 3 years and older. It is soft to the touch and keeps correct finger alignment by preventing the thumb from wrapping around the fingers. Combine our Pen Tip set and Bite n’Chew Tips with the Double Z-Vibe and you get the Tran-Quille pen, a great way for working on writing skills. The soothing vibrations are felt in the hand but do not effect the actual writing! "Chewable eraser"
Contains wide double lines, 3/4 inch, for practice.